Home News CategoryApps	16 methods for a successful Mobile App Marketing! 16 methods for a successful Mobile App Marketing! 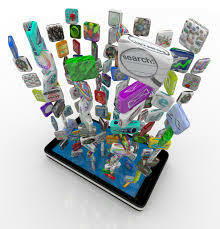 Mobile App Marketing is essential to your success! Mobile App market can be a very profitable area if you know how to create a very good application, but also how to plan your marketing strategy. Do you really know how many applications exist worldwide and where you can find them? Mobile App – Where to find them? If you are interested in a Mobile App to an iOS device, then AppStore is the place to find it (Through iTunes). Currently iTunes has over 750.000 Mobile Apps, almost the same Mobile Apps exist in the Android market and 100.000 in Blackberry app market. 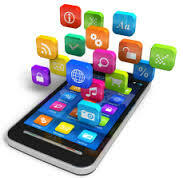 This means that you need to know where to place your Mobile App because large number of apps means high competitivity but high demand as well. You must also know how your potential buyers can find you and which will be the best method for your popularity, App Store, Amazon or through the mobile’s company store for applications. A very important thing you must do is to choose carefully the name of the Mobile App, the keywords and the description for your application. Most of the times the main keyword should be included to the name of your Mobile App. You must do a good research of the competition of your keyword and the description should explain the key benefits of your Mobile App and highlight its cool features. Try to write engaging press releases to the write PR websites, like prmac or standardnewswire. Also find websites that are reviewing applications and ask them to write a presentation or review for your product. You can offer them promo codes for a contest or privilege testing before launch. Google alert is a very handy tool that will alert you for your domain keywords. Try to participate in social conversations and keep track your Mobile App and company. One more thing you should do is to make comments on articles related to your Mobile App and participate on forums. Build an e-mail list and always stay in touch with your users by offering them updates, test drives and why not making some contests. Very good strategy is to ask your users for their ideas and thoughts, because your Mobile App will be used by them! Admob is a great tool to help you test your Mobile App name and price, and it will help you to make the right decision. Social Media is your friend, because the whole world is connected through it. Twitter has over 500 million users and Facebook has over 800 million which means that you can advertize your Mobile App to MANY people. Create a blog for your Mobile App and write reviews, updates, comparisons and anything else that will promote your application. Search engines love the fresh content, so make sure to write a few articles per week to market your Mobile App! If you try to promote your Mobile App through Article writing and blogs, you should be aware of SEO strategies. This way you will be able to generate more traffic and possibly make more sales! If you ever created a Mobile App please share your thoughts for your marketing strategies or make some comments for our tips!